We hate even reviewing sites like libertywriters.com, because we know it'll just drive traffic to the site, which is the only thing ClickBait sites like libertywriters.com is interested in. 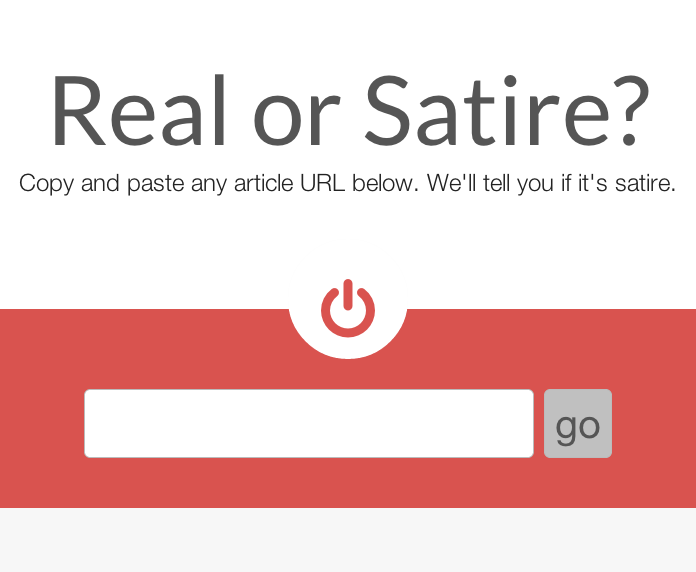 With gamingfreepress.com, it (thankfully) doesn’t take much to determine if the site is real or satire. From their About page: But the real question: Are they funny though? Ehhh . . . humor is subjective. Televangelist and all-around huckster Pat Robinson has said many silly, stupid, hateful, and downright harmful things. But politicalgarbagechute.com's article on him is satire. Read onward! Fortunately, you don't need to look far to see the intent of ourlandofthefree.com -- it's in their footer, complete with their own Satire rating, just in case. Not even sure what the point is for hollywooodreporter.co, or the other sites connected to it. Doesn't matter; it's all fake -- and only barely funny. Not even sure what the point is for hollywooodreporter.co -- and the other sites that are connected to it. Is this ClickBait? Are they simply banking on ad revenue from the occasional visit? Likely. Either way, it's all fake. breakingnews247.net is another in a long list of prank sites (aka Lazy ClickBait). The site is upfront about what it is ("Prank your friends now!") but if you're not paying attention, you could get caught-out! There's no other label donaldtrumppotus45.com can have, other than ClickBait.